An encouraging jump in home prices in the Sunshine State belies a more troubling fact below the surface: the number of foreclosed homes in banks' possession keeps rising. RealtyTrac, a national firm that lists foreclosed homes for sale, estimates that 83,238 homes in Florida currently are classified as “real estate owned,” which means they've been returned to the lender's possession. That's up from roughly 73,000 homes a year ago and about 62,000 homes in September 2011. RealtyTrac estimates lenders own 9,214 homes in the Tampa Bay area. Two years ago, they owned about 5,100, the company said. Realtors say there are many reasons for the continued climb in bank-owned homes, including that people are still defaulting on their loans and many banks are unwilling to dump their homes for a steep loss. The fact that lenders aren't rushing to sell off all their homes isn't such a bad thing, said John Lum, a Tampa developer who owns a south Tampa new homes gallery. “It's helping to not flood the market with excess inventory,” Lum said. 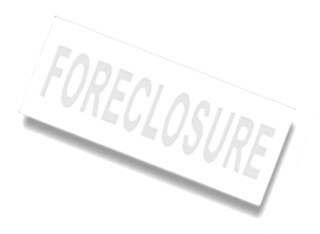 Overall, the foreclosure rate in Florida and the Tampa Bay area has tapered off in recent months. That's partly because of a new state law that is supposed to speed up Florida's perennially slow foreclosure process. Ironically, though, the law actually has temporarily slowed down things, because banks now have to provide more documentation that they hold the promissory note and are authorized to foreclose on a home. For example, 948 homeowners in the Bay area got a first-time foreclosure notice in September, which is down by about 13 percent from August and down by more than half since September 2012, RealtyTrac data show. But where first-time foreclosure filings are down, the number of bank repossessions has been fairly consistent at around 1,000 per month in the Bay area over the past year. Today, banks and the government-sponsored entities such as Fannie Mae and Freddie Mac are flush with more than 80,000 homes statewide that they either can't sell or don't want to sell. In some cases, lenders may not want to take a major loss by selling their real-estate owned, or REO properties. Investors who might otherwise snap up many of the repossessed properties are restricted from buying some, said Jamie Meloni, a local Coldwell Banker Realtor who specializes in selling bank-owned properties. Fannie Mae and Freddie Mac, for example, restrict purchases of homes by investor groups, preferring to sell them to families and other end users. Finally, a surprising number of people still live in homes even after banks repossess them. In many cases, banks may look the other way and allow the foreclosed-upon homeowner to stay there for free, perhaps because the homeowner at least will look after the home. RealtyTrac estimates that the previous owners still live in 46 percent of bank-repossessed properties in the Tampa Bay area.